Escape the jail only to find out that the whole world has been taken over by a zombie apocalypse! You can see other players playing the game and choose to survive by joining them, attack them or just run for shelter. Best players are ranked by collected bullets and kills. 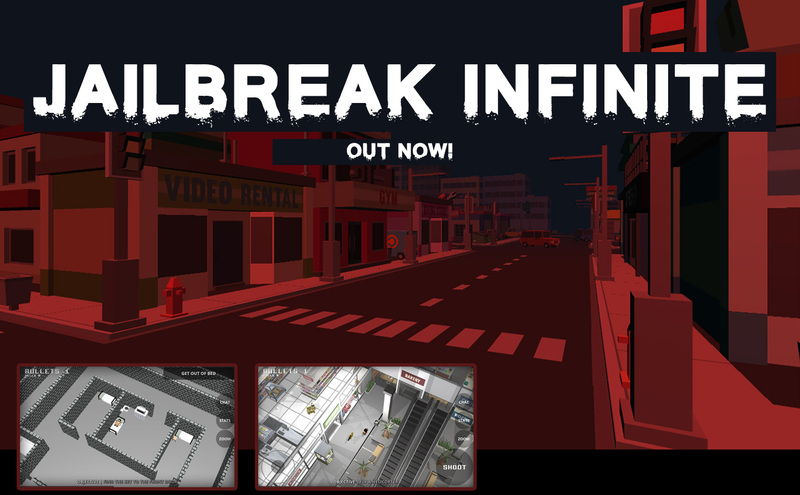 Download JAILBREAK INFINITE now - it's free!